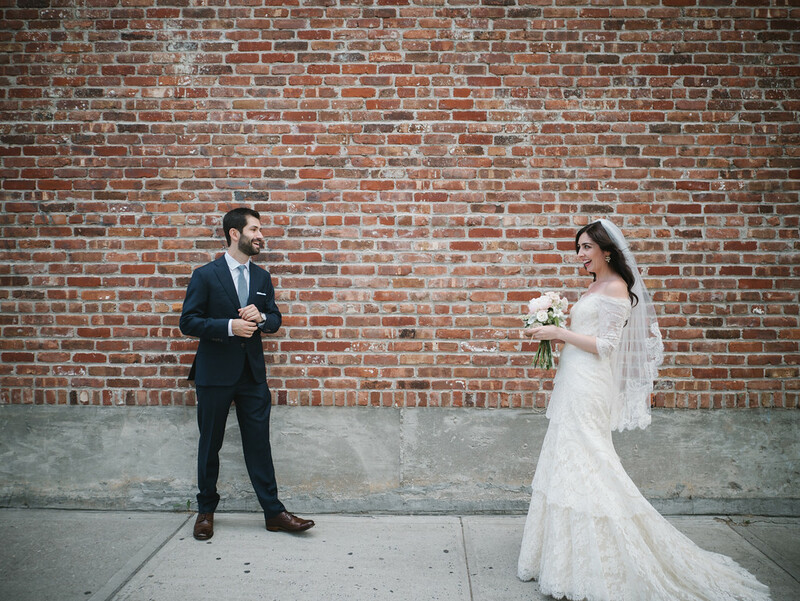 Jessica and Michael first met and bonded over growing up in Queens. 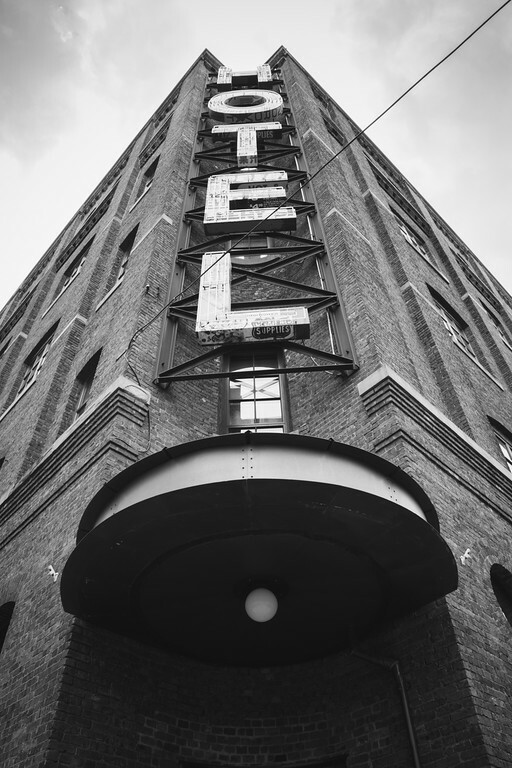 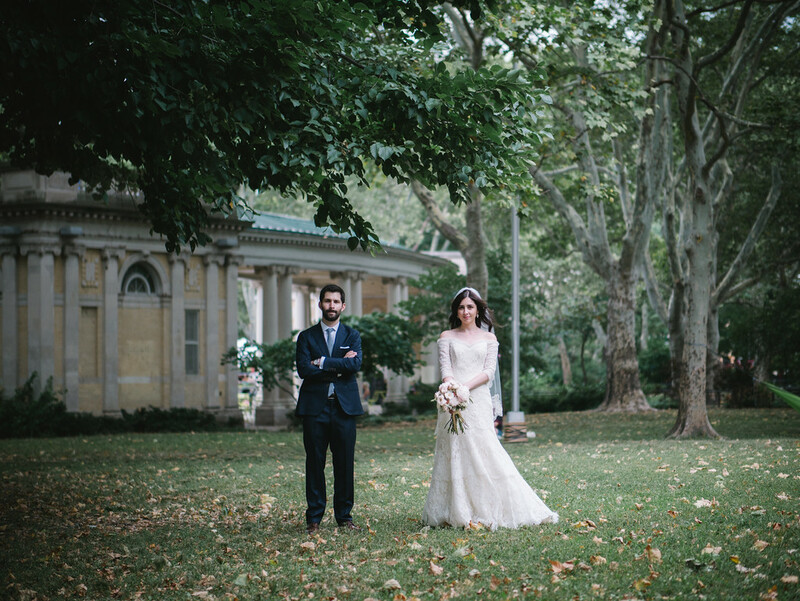 Their first date took place at a romantic Italian restaurant in Carroll Gardens, and their first kiss happened in front of the Brooklyn Museum. 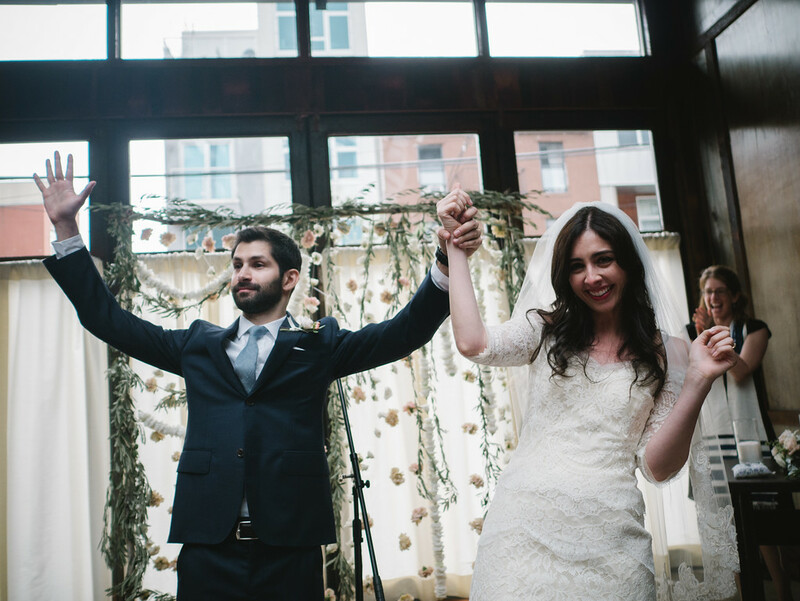 Michael proposed one summer evening on the rooftop of their home in Prospect Heights. 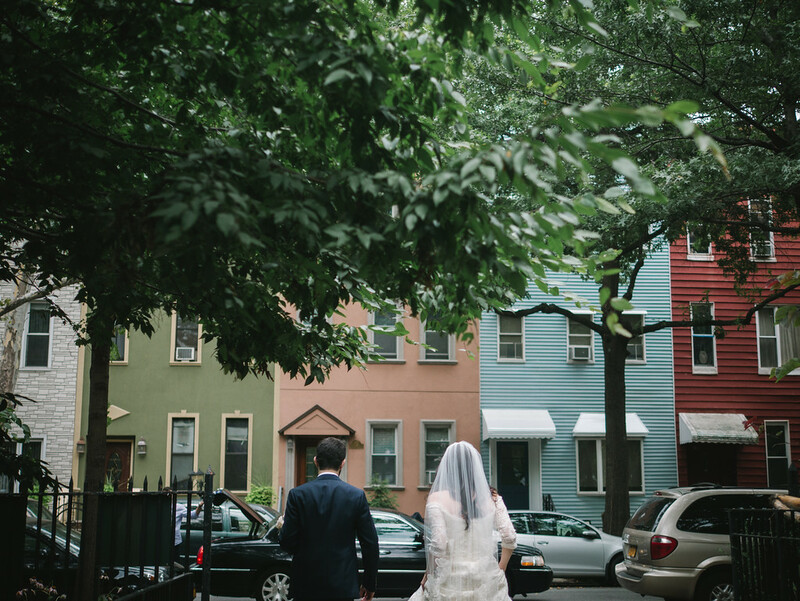 It’s only perfect that these two born-and-bred New Yorkers were married in Brooklyn. 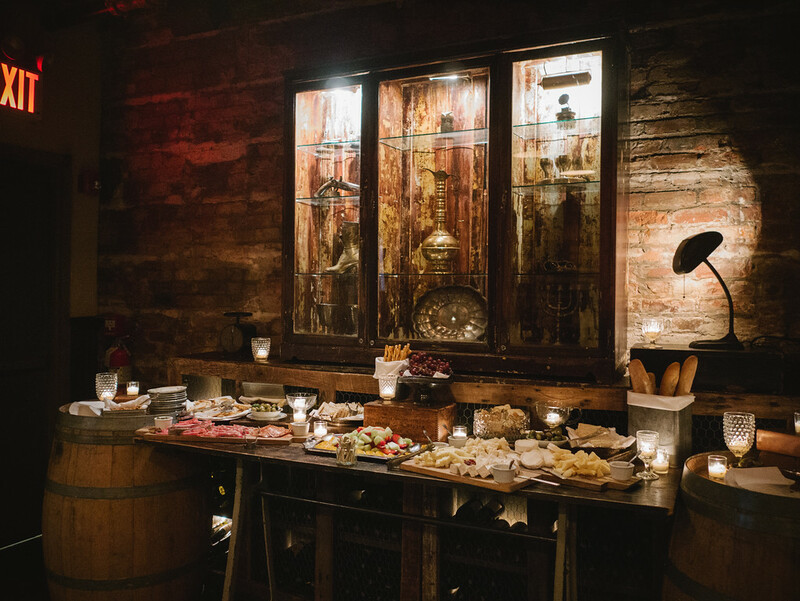 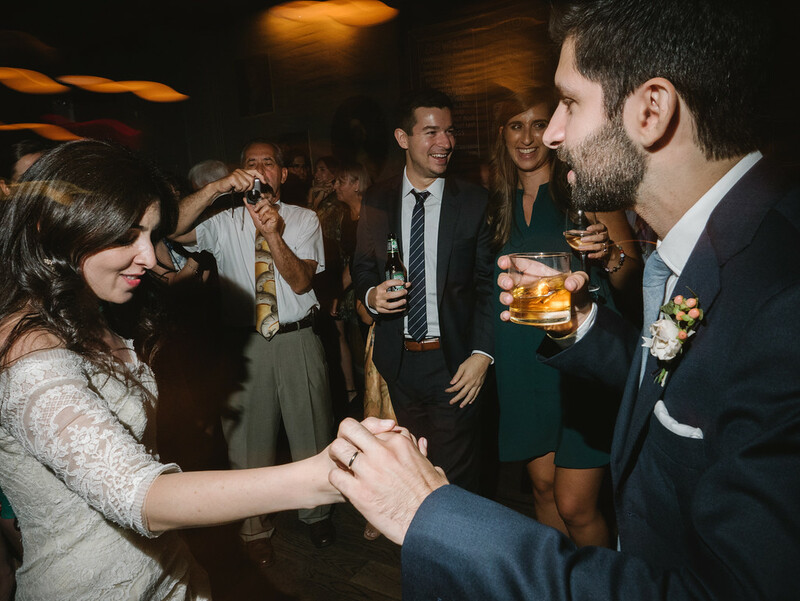 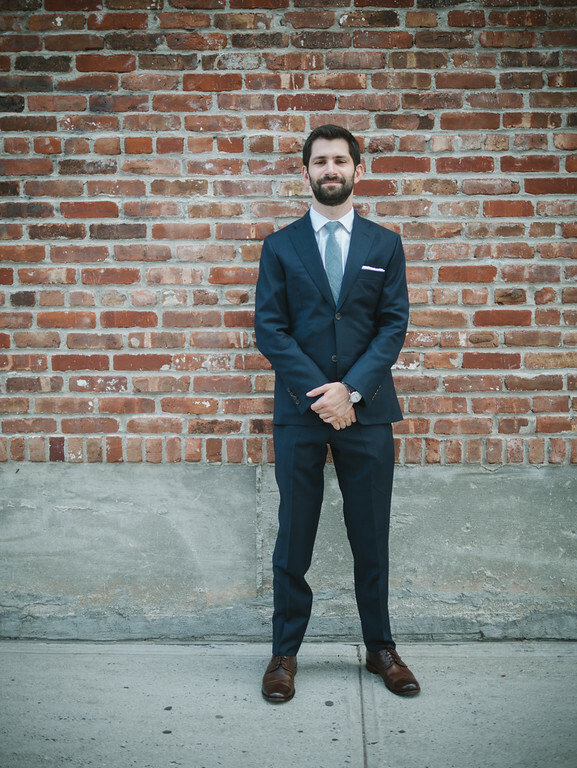 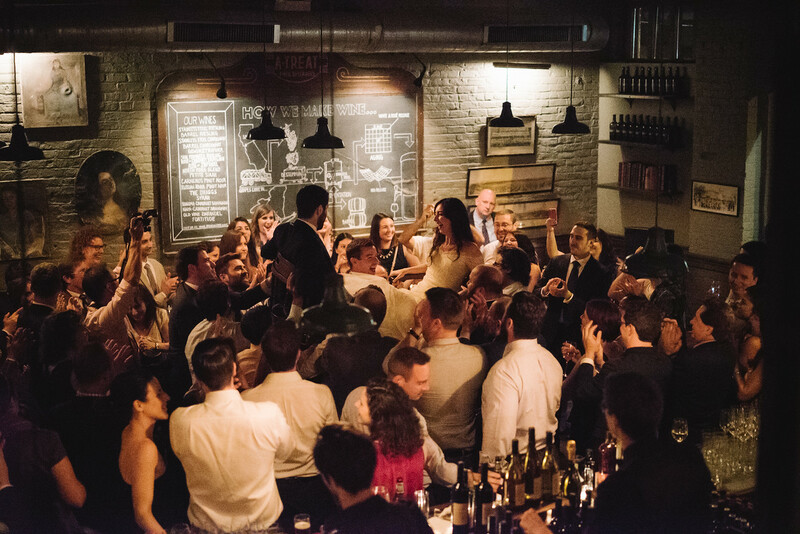 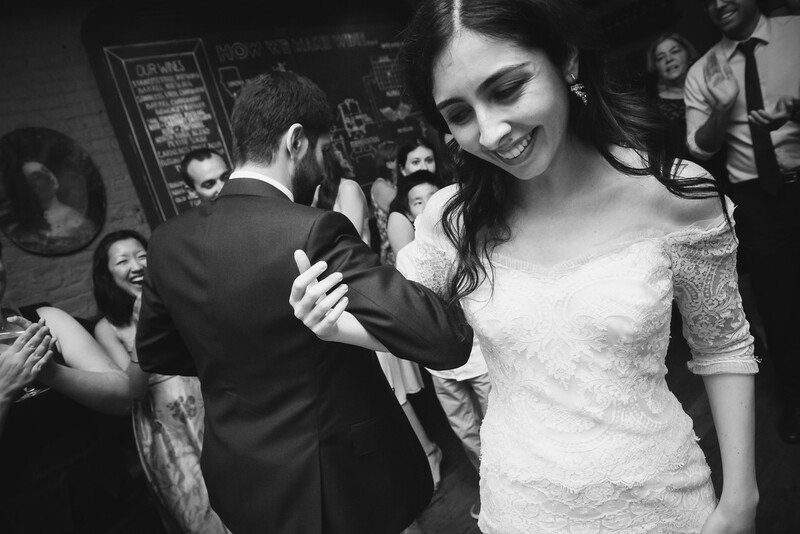 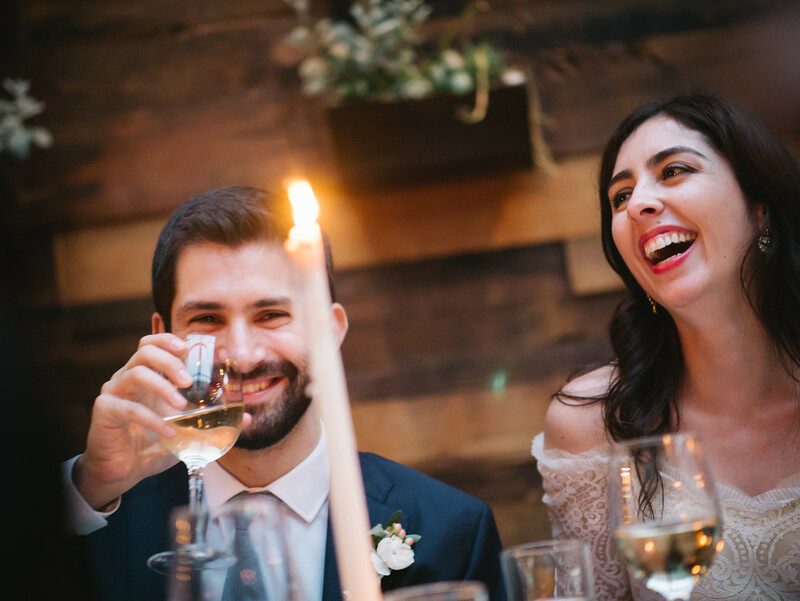 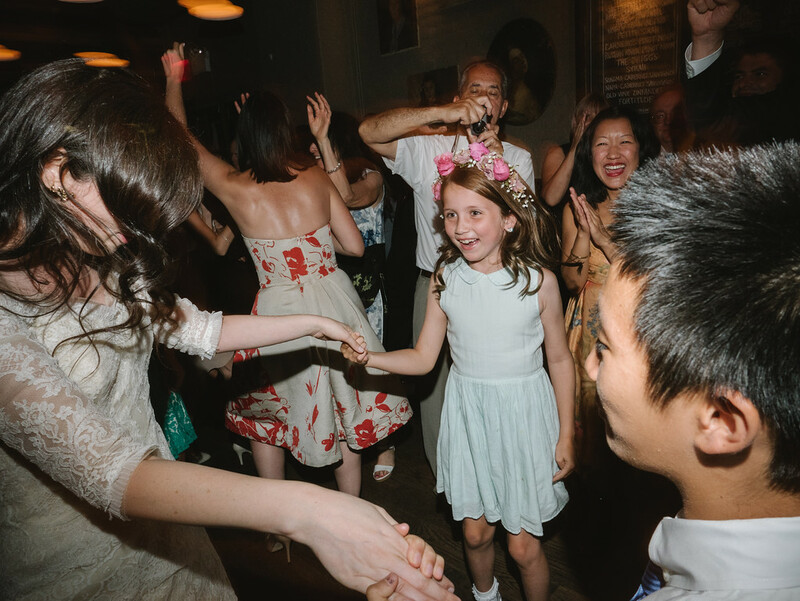 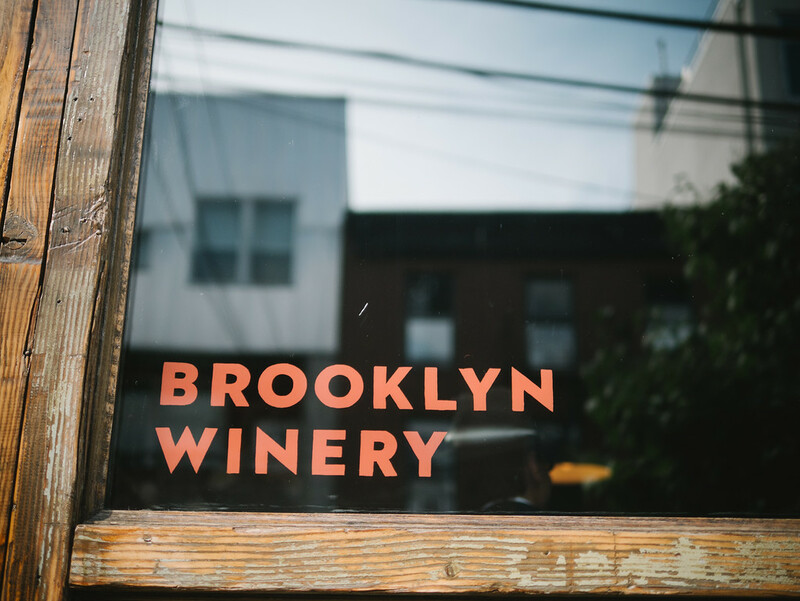 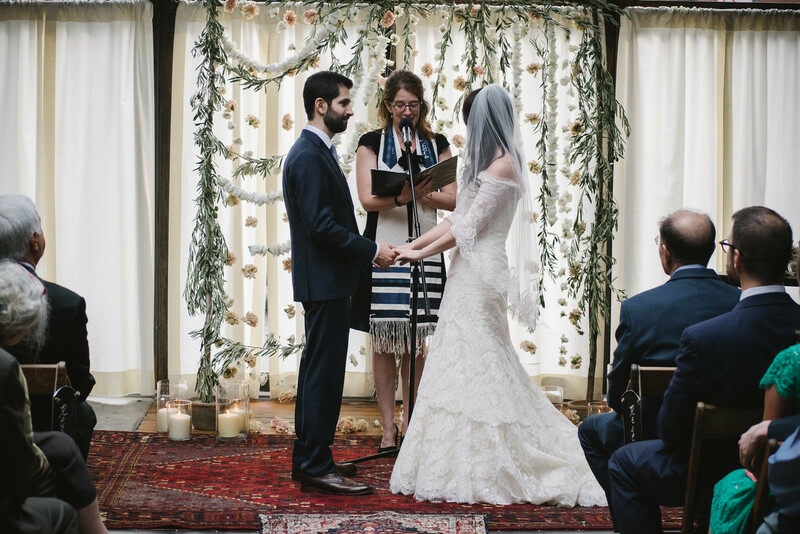 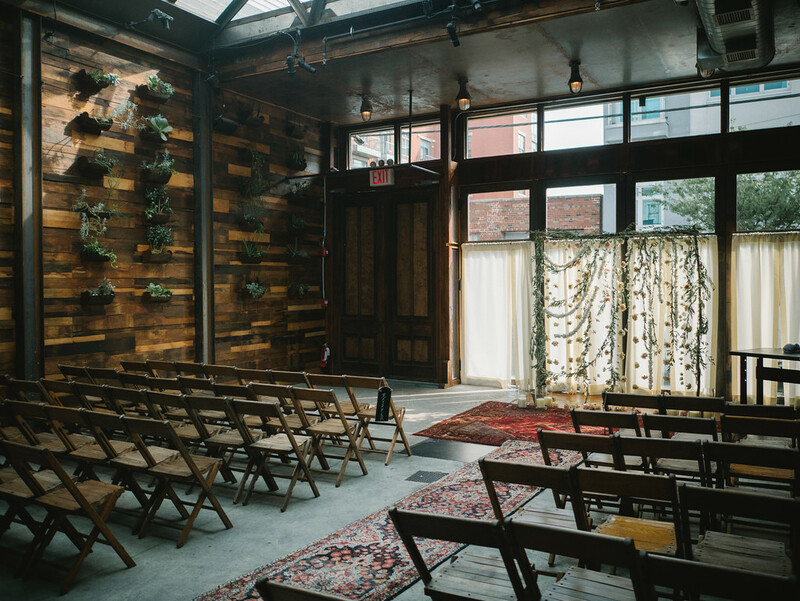 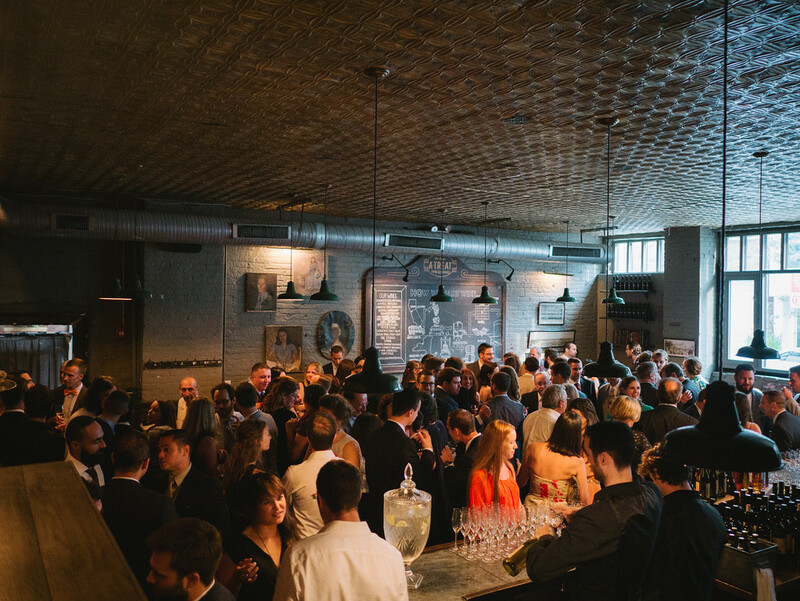 Their intimate ceremony took place at the Brooklyn Winery, surrounded by their family and friends. 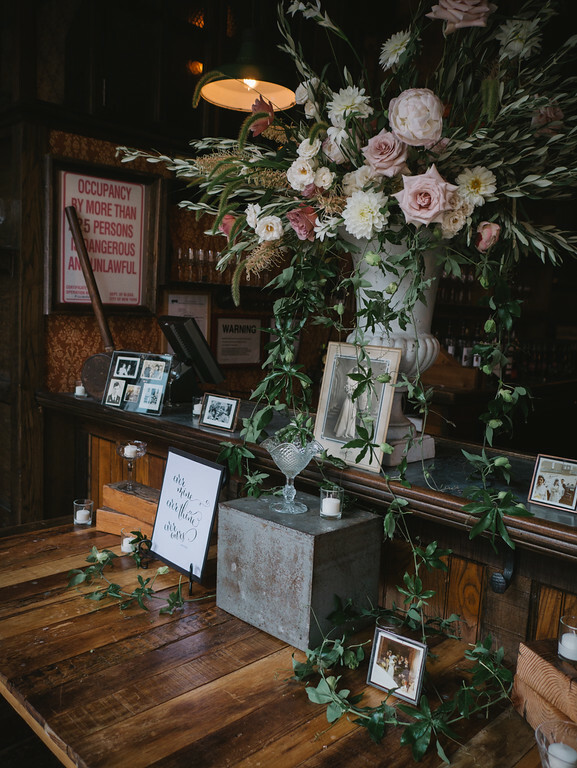 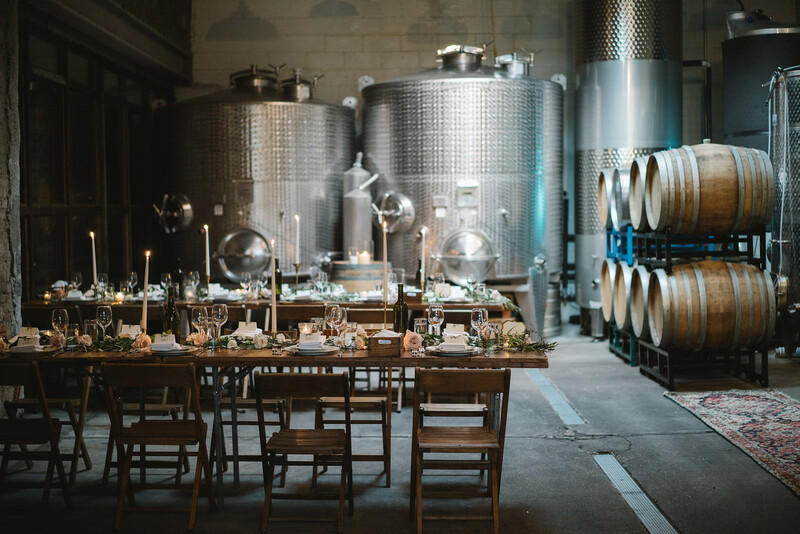 The venue was decorated in a romantic way, with modern touches; handmade garlands, vintage rugs and the steel barrels from the winery served as the ceremony’s backdrop. 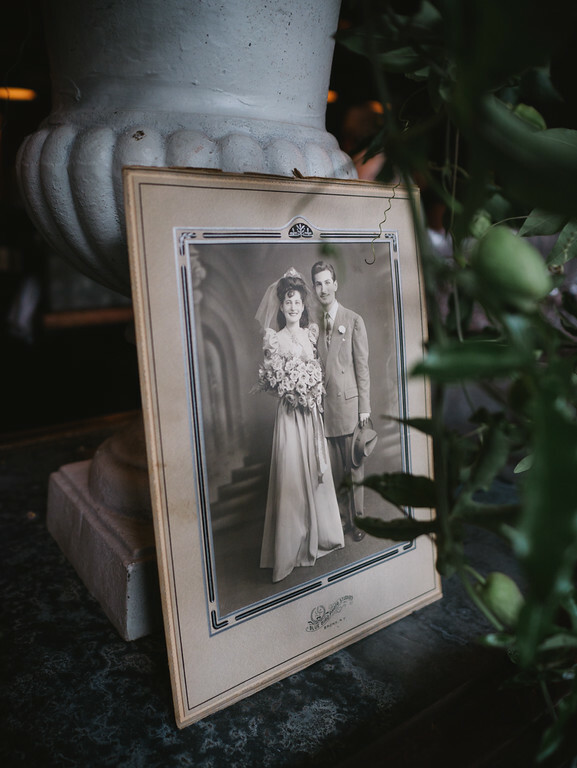 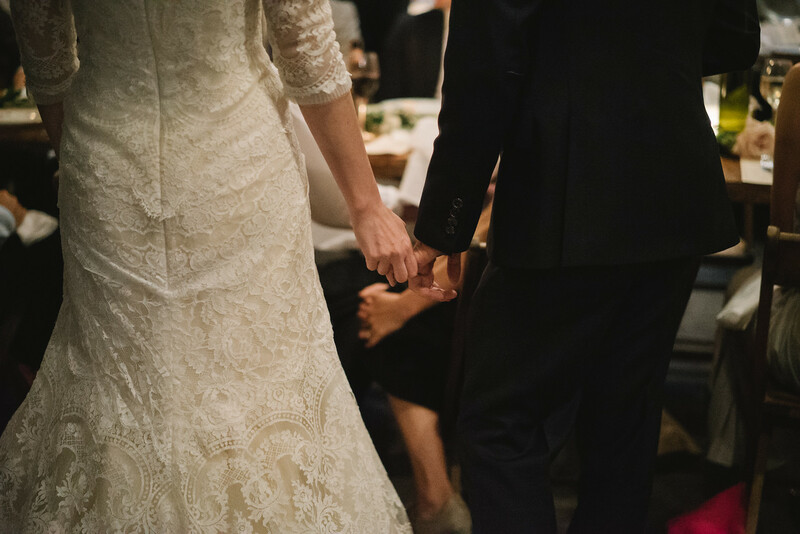 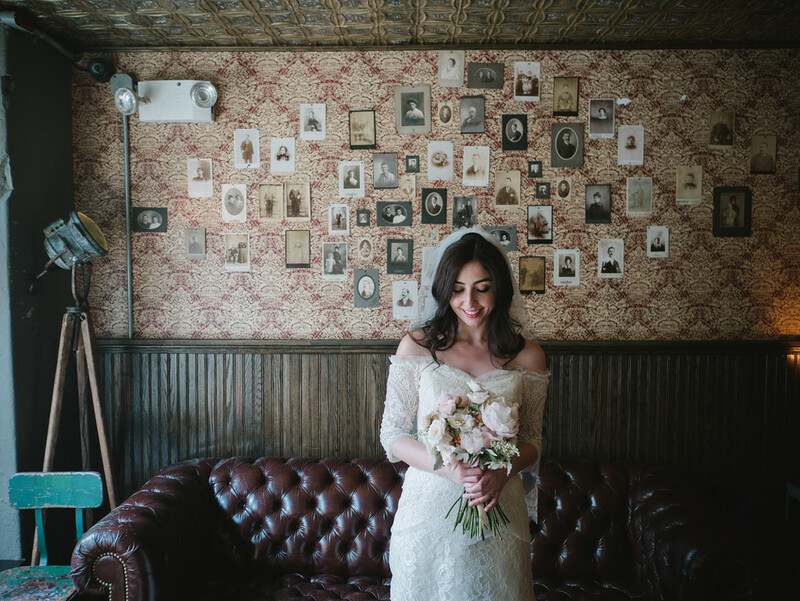 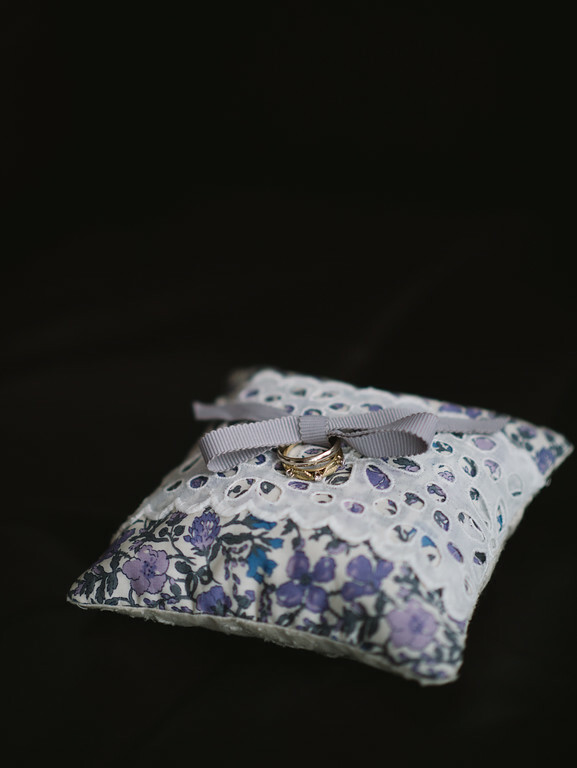 We especially love the couple’s personal touches: their parent’s and grandparent’s wedding photos peppered throughout the room and the bride’s vintage wedding band, handed down from her mother. 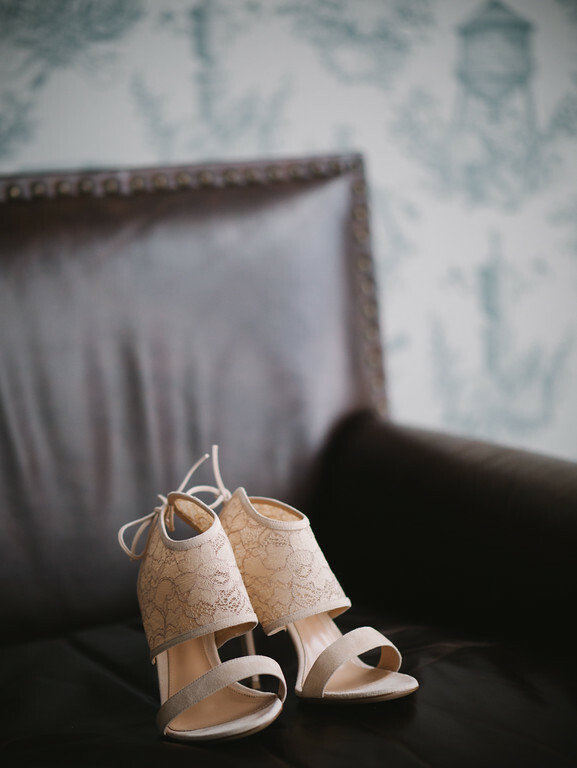 The bride said “I Do” in a lovely lace fit-and-flare designed by Rivini. 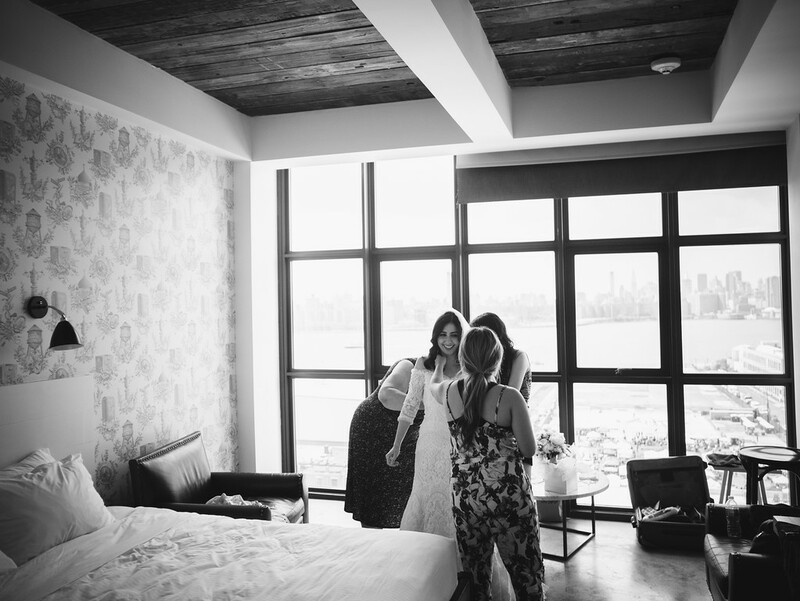 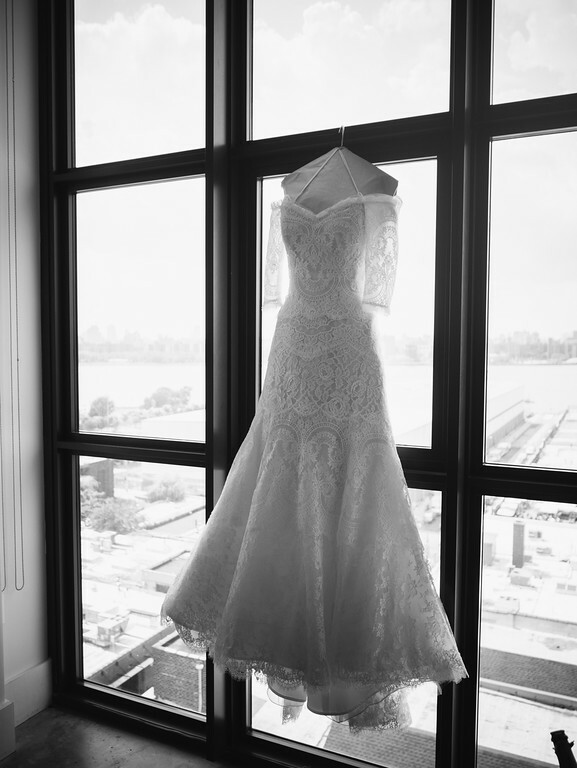 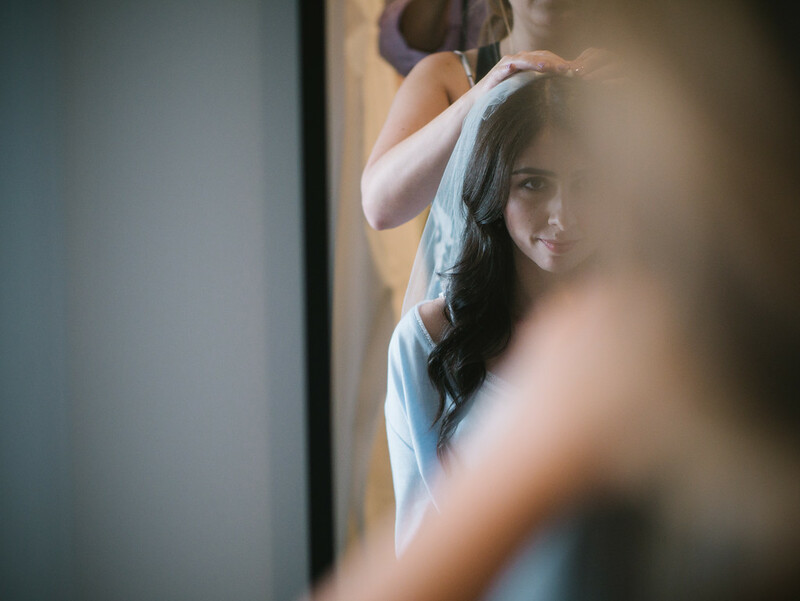 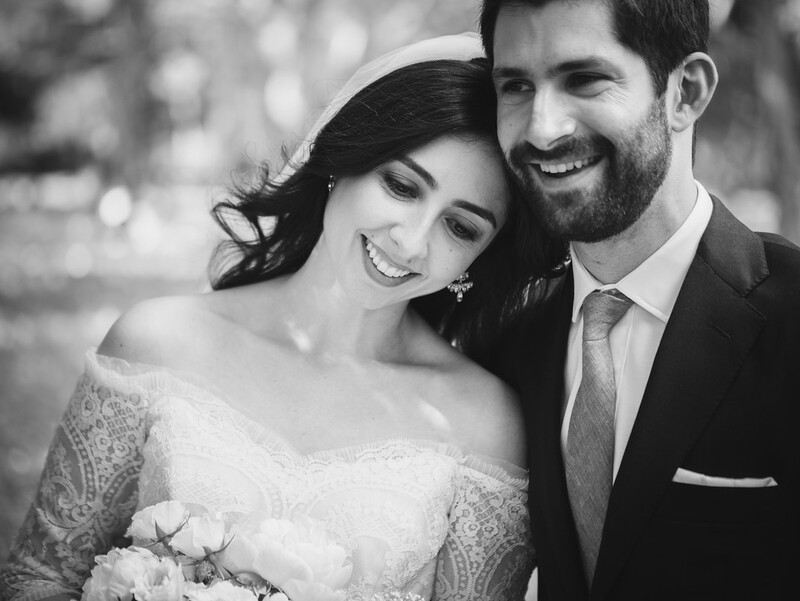 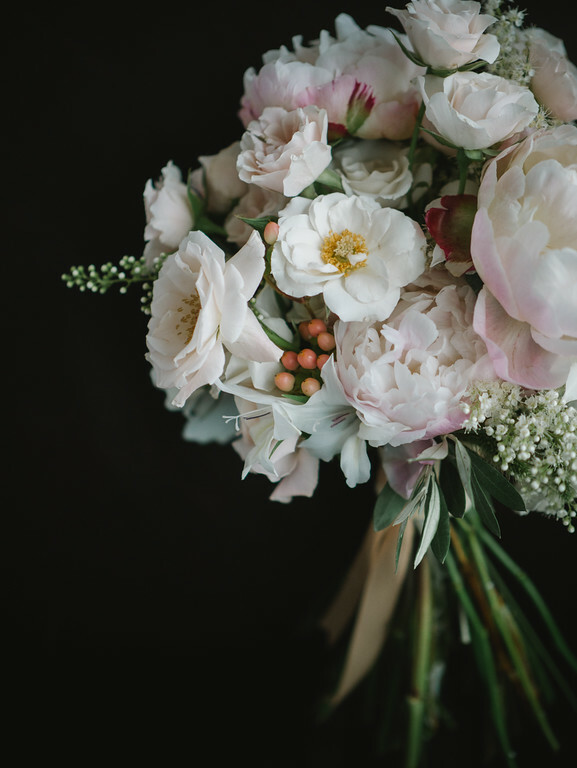 See all the details from this beautiful New York wedding below! 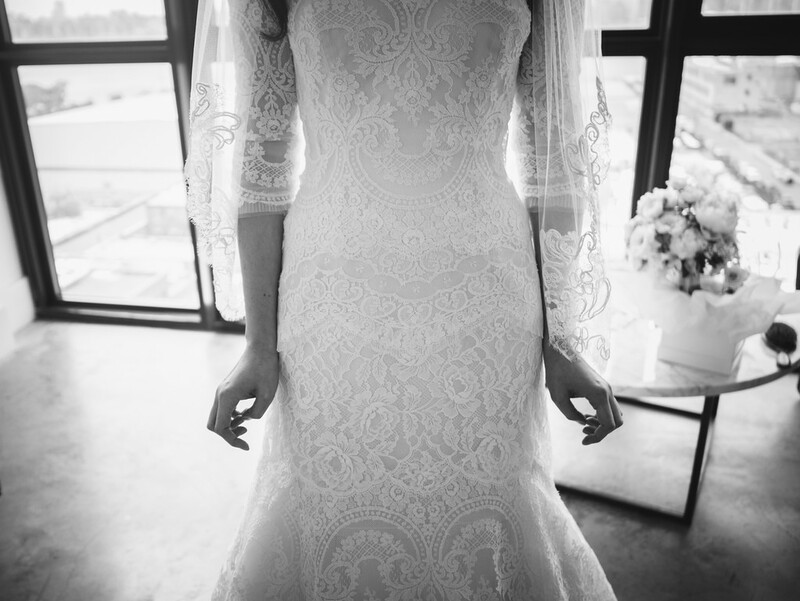 Obsessed with this dress? 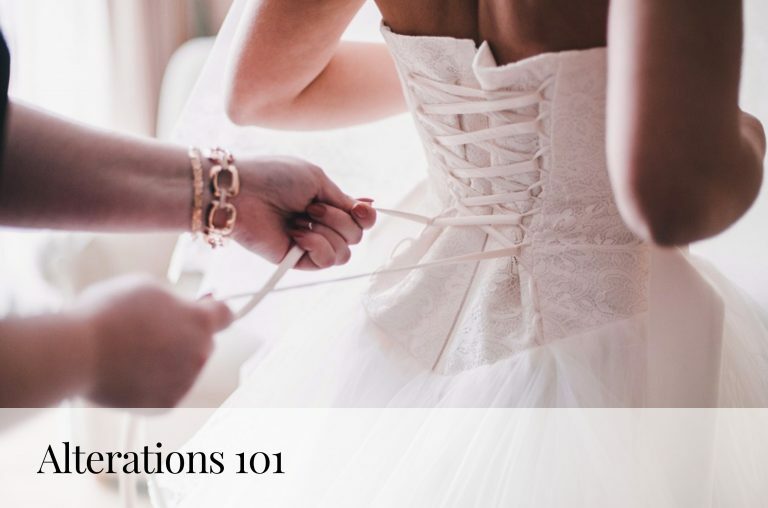 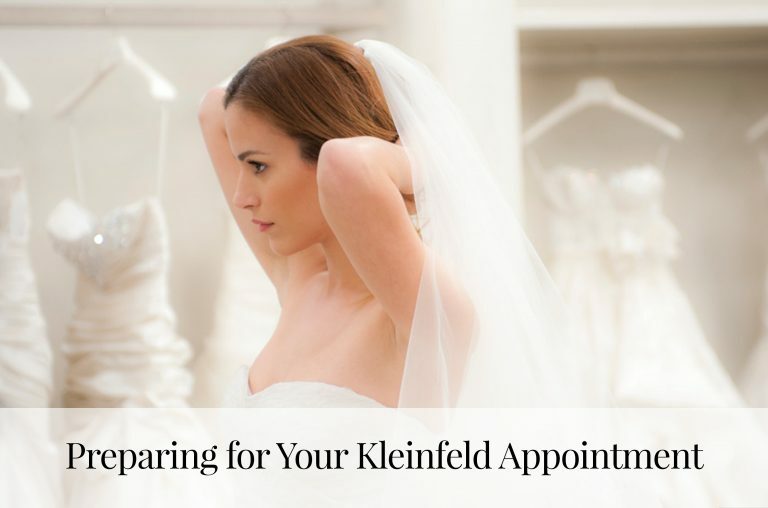 A Rivini Trunk Show is coming up at Kleinfeld from May 17th-19th! 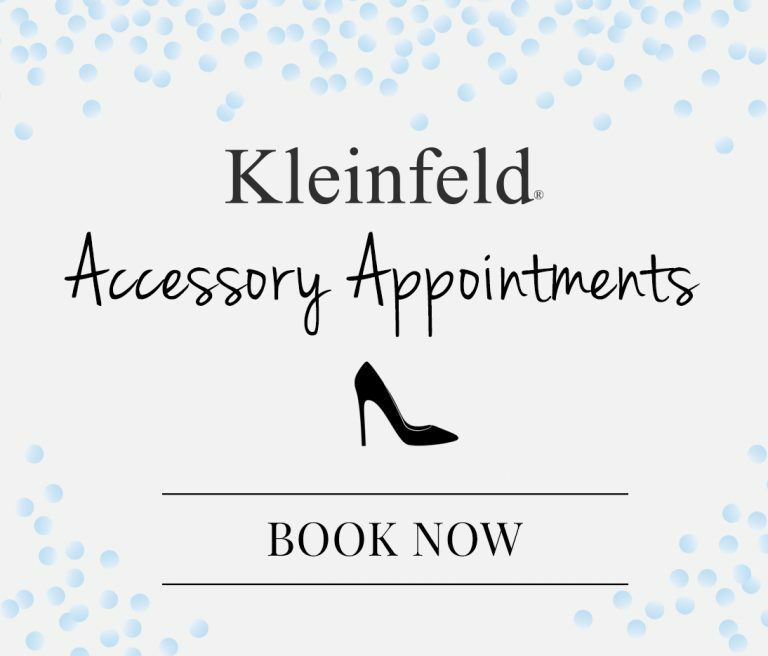 Don’t forget to schedule your appointment here.